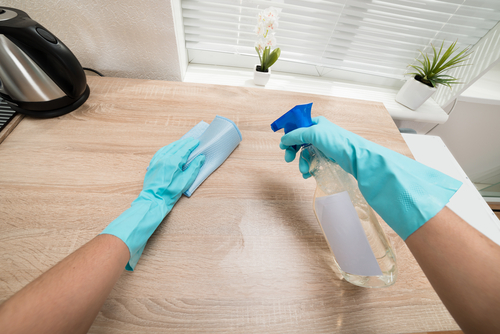 Commercial and private households always need efficient cleaning services. A maid is trained worker who is specialized in various light cleaning duties for residences and organizations. Before you go out looking for a job as a maid, there are several things you have to take into consideration to ensure that you are marketable in the flooded market. What are you required to do as a maid? First and foremost, you have to understand the duties of a maid. A maid is required to perform a variety of cleaning duties in places such as nursing homes, hospitals, hotels, and households. Maids are required to mop, sweep, wax floors, polish and dust furniture; cleaning appliances like ovens and refrigerators. They are also required to change bed sheets, perform laundry tasks and wash dishes. Some people may also require their maids to do personal errands for them for instance, buying groceries or taking clothes to the laundry. If you get a chance to work in a hotel, you might also be required to deliver items to the guest rooms. If you get a chance to work in a hospital you will be required to sanitize equipment, make beds and clean bed frames. What kind of training do you require as maid? Normally, there are no formal requirements; however clients will obviously be in favor of people with at least secondary education or a diploma. High end hotels and several other facilities may require maids with some experience in their line of work. However most people provide training for their maids according to the services that they want performed. New maids will be required to follow an already established routine. Nevertheless, they are moved up to more complex and indepenedt duties. As a maid you are required to use several cleaning detergents safely. You also have to learn how to operate cleaning machines such as vacuums and buffers. Even if you don’t have these skills, you are going to easily acquire the skills in the due course. The knowledge of the process and principles of providing personal or customer service are very efficient. Even though you don’t have the skills, you employer is going to provide the training for you. Don’t worry about that. Usually, maids are not required to have experience. Just like I have stated above, most companies or people looking maids will train them. For instance, you do not require any experience or formal training to become an office clerk. Even if you have never worked in an office you can perform these duties. As I indicated earlier, most employers will be comfortable with maids that have at least a high school diploma. With such education, it is believed that it is easier to train a maid incase special training is required. You will rarely require a license to perform any of these duties. As a helper, you must always be service oriented. Your client’s services should always come first. You must be able to look ways to help others. As a maid you should have the ability to think logically and reason well to identify weakness and strengths of alternative solutions, approaches to problems and conclusions. You must be able to depict others reactions and comprehend why they react so. By doing so, you will avoid conflicts with others. This is the capability to comprehend any information or ideas presented to you either through writing or a spoken word. You should have the ability to effectively manage your time and that of others. This will reduce the extent of conflicts with your employer. It also allows you to be in a position to do your work effectively. As a house maid, it is very important to ensure that your availability is in accordance to the expectations of your employer. This reduces the probability of conflicts in case you client requires a task to be done and you are not available. A maid with a good reputation is likely to get hired by most employers. Maids with god reputation are trustable hence more popular with employers. Ensure that your reputation is at par with your clients expectations. Ensure that you have a schedule for all the days that you expect to be working. You should have an understanding of time. Have a clear understanding of the events you are required to follow. You should always be prepared for any emergency. 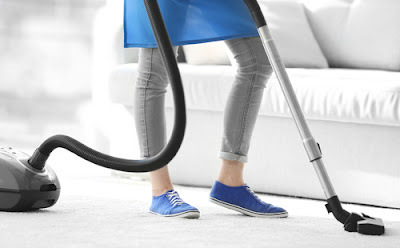 If you are looking for a job to be a part time maid, it is very evident from the requirements above that you don’t have to have so many qualifications. Just armed with your basic secondary education you can be assured that there are several employers that will be ready to incorporate you in their household, restaurant or hospital. All you have to do is to go out searching for one.